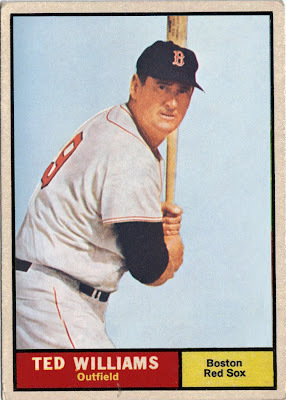 Just like the original Star Wars Trilogy, it’s time to complete the Ted Williams’ Cards that Never Were Saga with his 1961 Topps release. I will be honest and say that I absolutely love this card. 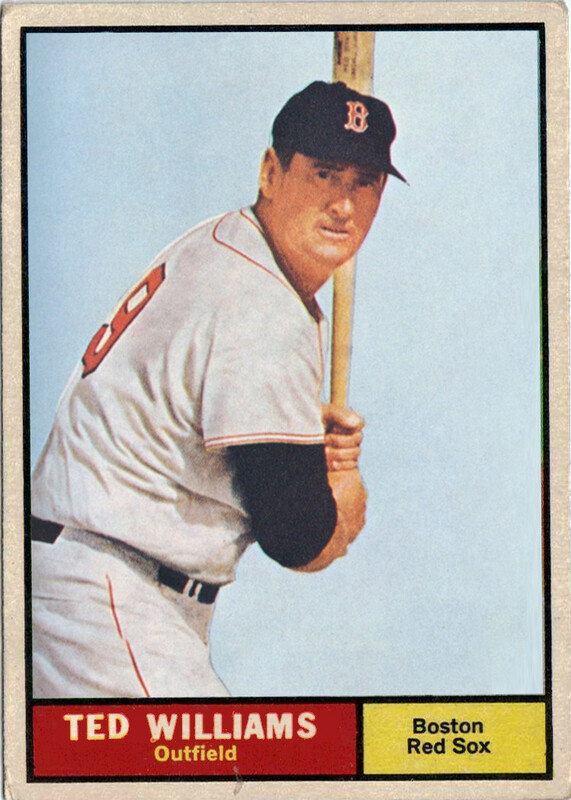 Granted, I nabbed the photo from Ted Williams’ The Science of Hitting book, but I think it fits perfectly with the 1961 Topps set. The photo is grainy, the color is washed out, and Williams is obviously at the end of his career. It all fits. I can almost see this card stuck in the rear spokes of a kid's bike. It even has dinged corners and a printing smudge on the 'W' in Williams. Man, I LOVE this card, even though it only exists in the ether. I hope you enjoyed viewing the Williams Trilogy, but even if you didn’t, it was a blast to make and I am very happy with the finished product.